From April 1st until April 15thSocial Democrats candidates Sinéad Gibney (Blackrock) and Dave Quinn (Dun Laoghaire) will run the initiative Afternoon iTea in local cafés in their constituency. The idea behind the project is to help familiarise voters in the area but particularly the older generations with the technology of their mobile phones and laptops and to help them to obtain digital skills to be able to access information and services online. 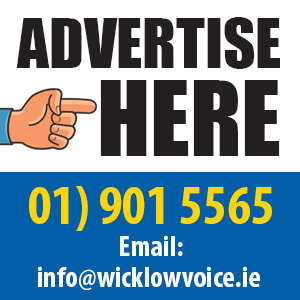 Sinéad Gibney, Social Democrats candidate for Blackrock, said: “As more of our services and community activity move online, it’s critical that we equip everyone with the skills to use technology so that they can continue to take part. “On a practical level, it’s increasingly cheaper to shop online, and many government and commercial services are becoming harder to access if people are not able to use the technology. “But more importantly, it’s critical that people can stay in touch with their family and community using the technology that’s now available to them, if they so wish. 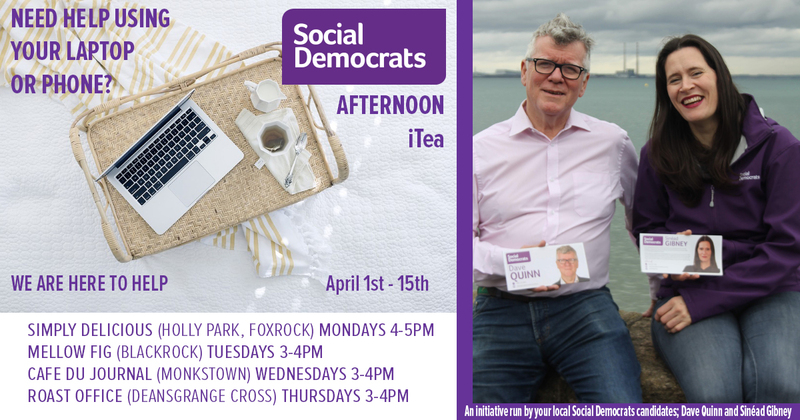 The participating cafés include Simply Delicious in Holly Park, Foxrock on Mondays between 4-5 pm, Mellow Fig in Blackrock on Tuesdays between 3-4 pm, Café du Journal (Monkstown) on Wednesdays between 3- 4 pm and Roast Office in Deansgrange Cross on Thursdays between 3-4 pm.